Our next door neighbors moved out. 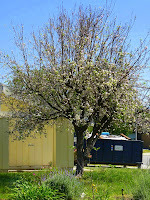 This property has the most beautiful apple tree I have seen in a very long time. While I had been thinking about getting a bunch of cuttings for a while, I waited until they said it was okay. 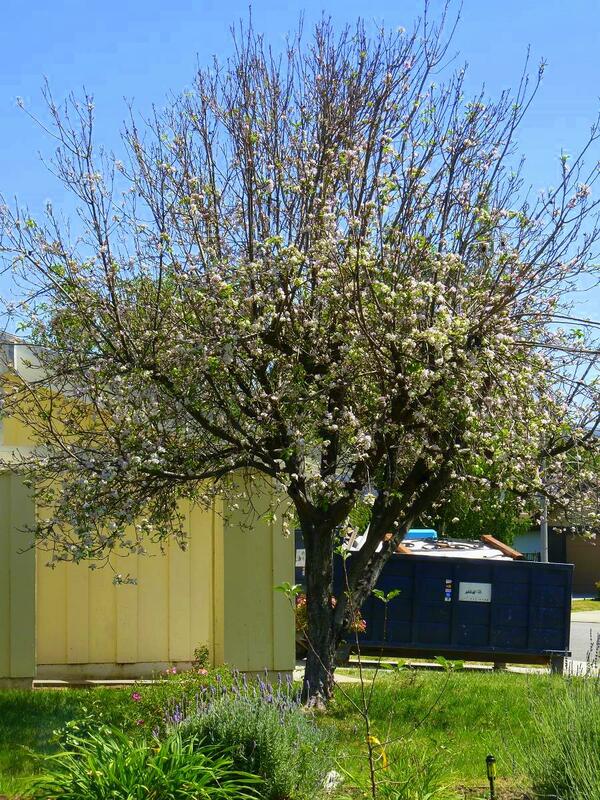 Hmmm, unfortunately, as you can see, the tree is already blooming and it is best to take cuttings, when the tree is completely dormant. However, I did it anyways and am going to see what will happen. 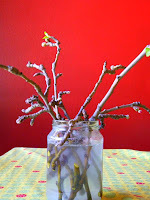 I chose twigs that were not yet blooming and that also did not have too much green on them yet. I put the twigs in a jar with water and some rootone sprinkles to aid in the root development. There you go; keep you posted. . .